On May 25, 2018 European citizens get a greater say in the collection and use of their personal information. Give a warm welcome to GDPR. General Data Protection Regulations. 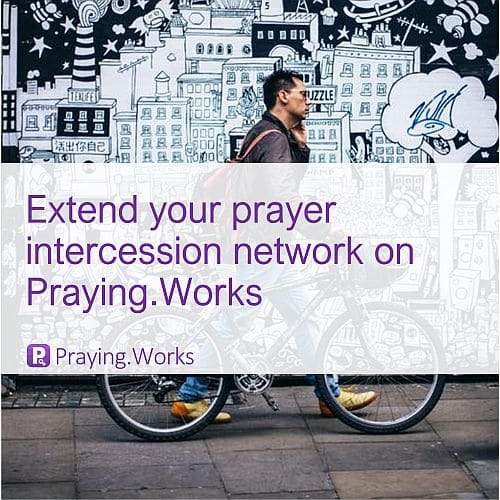 The world is becoming smaller, making easier to extend your prayer engagement network. This change is significant. For the first time since, “may I have your details please” over the telephone, was introduced into our collective vernacular. The law governing the collection, processing and management of our personal data, gives individuals a significant say. In particular, the right to be forgotten is one people are celebrating about. I personally had an experience with a cancelled Amazon AWS subscription. Amazon acutally does not “cancel” as you and I understand cancel. Their cancel meant hibernate. I wrote to them numerous times expressly instructing them to cancel and delete my account. Organisations can be fined an obscene amount of money for breaching the new regulations. Up to 20 million euros. The motivation to get GDPR right is high. There’s a common-sense principle in GDPR. Once your organisation collects information on EU citizens, GDPR impacts your organisation. The internet is now so complex. That app you use with ease in the UK, may actually be hosted in South Africa in a completely different time zone. Your data could be distributed around the globe offering resilience and robust data management. But who has access to your data.